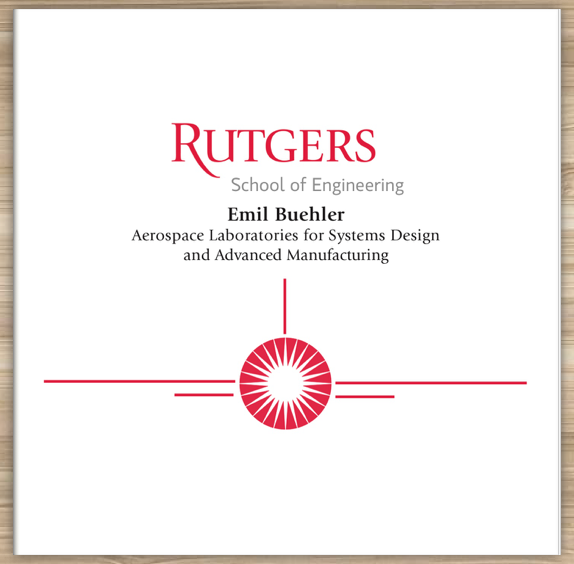 Thank you for considering an online donation to the Mechanical and Aerospace Engineering Department at Rutgers University! You will be redirected to the Rutgers University Foundation website which houses the technology for you to make a secure online contribution to our department: Click here to make a gift. If you have any questions or would like more specific information about donation types, funds or payments, please do not hesitate to call or email the Chair of the Mechanical and Aerospace Engineering Department, Professor Alberto Cuitino, at (848) 445-2248, (848) 445-4210 or cuitino@jove.rutgers.edu. To send a donation, please mail to the Mechanical and Aerospace Engineering Department, 98 Brett Road, Piscataway, NJ 08854. Again, thank you for considering a contribution to the Mechanical and Aerospace Engineering Department. We very much appreciate your dedication to the education of mechanical engineers in New Jersey and vow to use your donation responsibly to forward the mission of our Mechanical and Aerospace Engineering department.